For one of the ultimate nights out in Edinburgh, visit Genting Club Fountainpark. Offering all of your favourite casino games including American Roulette, Blackjack, Texas Hold’em Poker, Slots and Electronic Roulette. They also have an award winning 5 star "Fahrenheit Restaurant" serving mouth-watering traditional Scottish Cuisine until late into the night. Why not make it a night out to remember with family or friends by combining a fantastic 3 course meal and some excitement at the casino tables with a great package deal for groups of six or more for only £24.95. 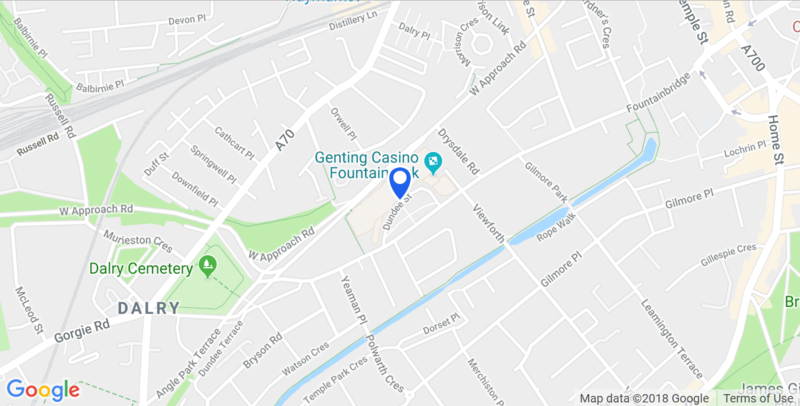 If you play poker in Edinburgh or want to learn then visit Genting Club Fountainpark. They have the best cardroom in Scotland where you can play Texas Hold'em poker tournaments and cash games 7 days a week and they host regular big events. The casino also features regular events and has a first class bar where you can relax in style enjoying a refreshing cocktail or vintage whisky. Over18’s only. Proof of age ID may be required for anyone lucky enough to look under 25.